Reef Strontium is intended to restore and maintain strontium to levels found in natural seawater without affecting pH. Strontium is utilized in the same manner as calcium and holds a similar importance in maintaining a vigorous level of growth. 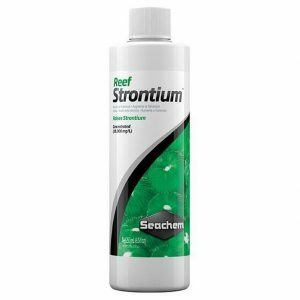 Reef Strontium contains 10,000 mg/L of available strontium as a gluconate complex. 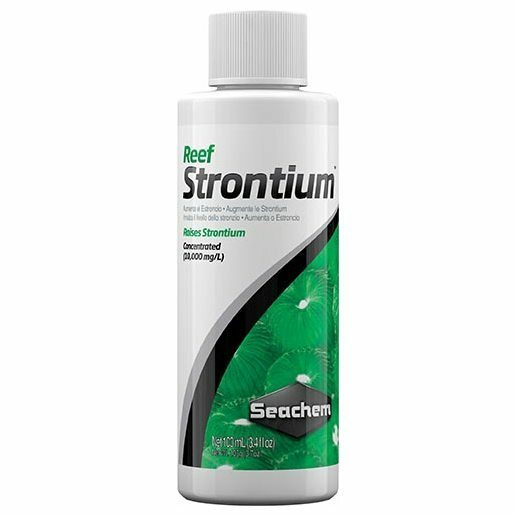 Gluconate complexation confers several benefits: it increases the bioavailability of the strontium, it provides a rich source of metabolic energy to help maintain peak coral growth, and it inhibits strontium precipitation/alkalinity depletion. Gluconate contains no nitrogen or phosphorous, thus it is biologically impossible for it to lead to algae growth in a properly maintained reef system.